We are nature’s creativity on speed. Something is “appropriate” when it fits. To be more a blessing than a curse, our creativity needs to fit within natural constraints and the wisdom embodied in and promoted by these patterns. 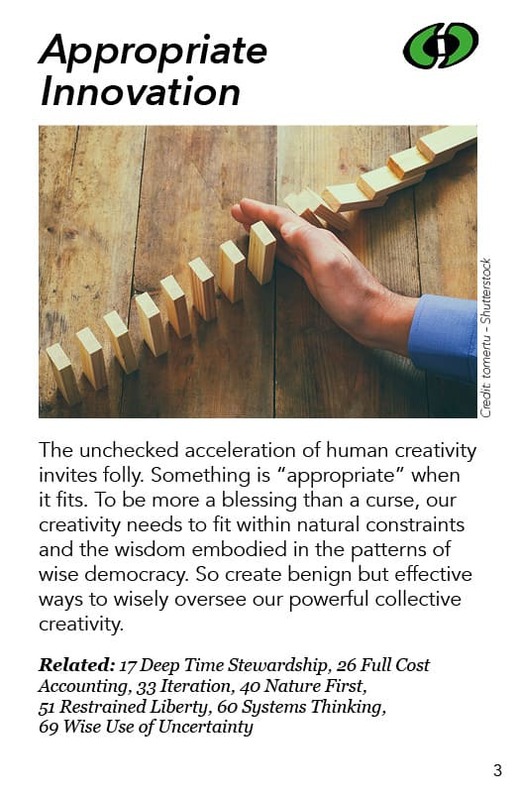 So create benign but effective ways to wisely monitor our powerful collective creativity. A key example of monitoring appropriate innovation is the precautionary principle. It says that technology should not be applied in any broad or potentially risky way until it is proven benign. 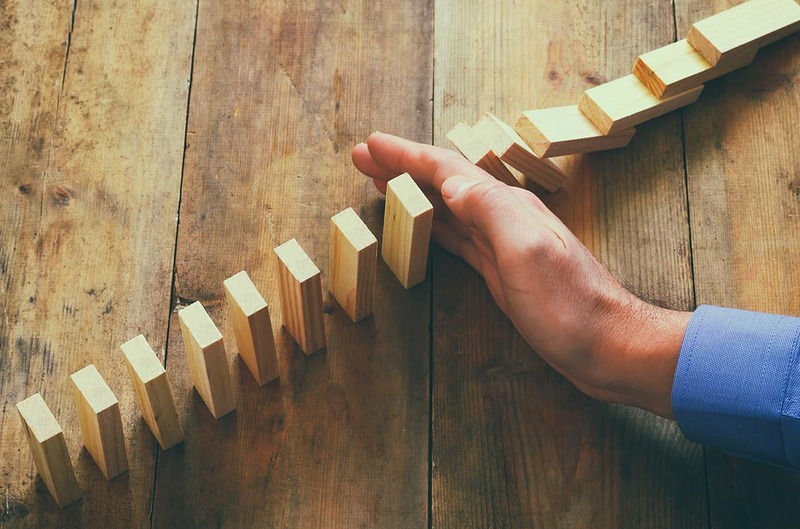 The precautionary principle is an extremely conservative one, very different from the progressive principle that says we are and always should be developing and advancing. Everything is up and up and up all the time which is our civilization’s bias at the moment. So the precautionary principle is understandably resisted by ambitious technologists. And it’s actually very hard to apply in a broadly collective way. If the U.S. adopted the precautionary principle, what about the Chinese, what about Al Qaeda? How do you get the precautionary principle applied everywhere?